Dill seeds and the Dill Tips posses different flavours. 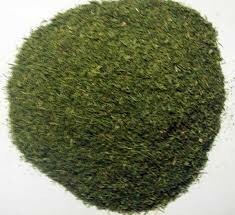 Dill is a plant of the carrot and parsley family and grows in Eastern Europe and India. The plant itself can grow up to 1 meter heigh.The fern like leaves (Tips) are used a herb and the seeds as a spice. Dill pair well with cabbage, onions, bread, vinegar, potatoes, cumin, chili powder, paprika and turmeric. It is available by 50g, 100g, 500g, 1kg.